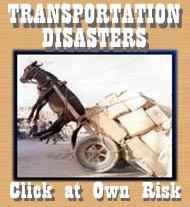 Thegreattrainrobbery.org - RTA Questions: Show Me the Money, Blown Budgets, No New Taxes! - What happened to the last sales tax increase? What happened to the last sales tax increase? First, determine why the present "extra" .5 per cent sales tax added by the county board and supervisor in the 1991 to pay for the new jail first, and then the court house recently constructed is still being collected and why a debt Bond was floated to "pay for the court house." If we were already paying an extra tax that brought in 600 million dollars (15 years X 40 Million per year - a guesstimate only) for the last 15 years, why did the County Board issue debt bonds to pay for the court house? The initial estimate of $250 million in Capital costs is just that, an estimate. When was the last time Madison brought anything in on budget? Civic Center? Overture Center (built with generous private money- but running yearly public deficit), Monona Terrace- over budget (3 million in deficit last year) Goodman pool- private/public money 3 times over budget- yearly deficit. 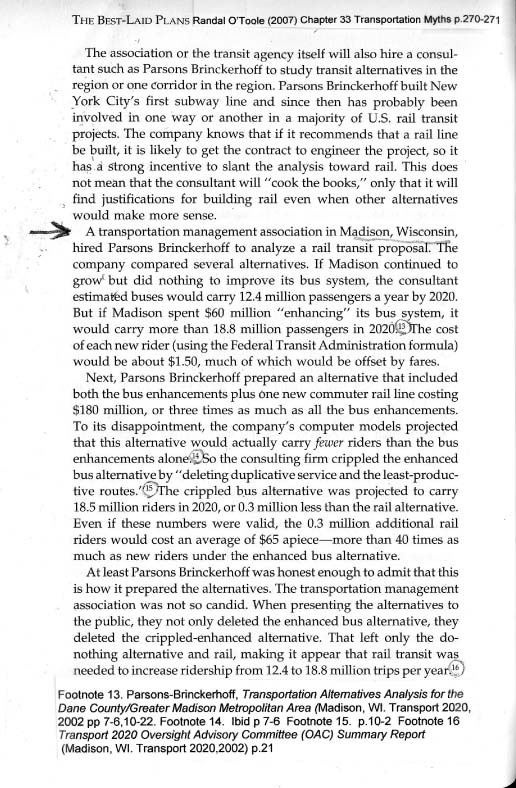 Madison Metro $10 million over budget this year even though $30 million in property, City, County, State and Federal tax dollars per year are pumped in with only 20% (9 million) from fares. Where is that .5% extra tax going to now? If this extra tax is no longer paying for the court house/jail, why isn't this a breach of our public officials promise and integrity that, if done in the private sector would result in a bait and switch court case? Since the county board voted 22-13 in favor of the RTA and an additional ½ cent sales tax, they must think this is a ‘must-have’ for the county. If so, shouldn’t they cut their own spending to pay for the RTA instead of just adding another tax? Why can't the present .5% (Courthouse/jail sales tax) be used for either property tax relief or for better highways and an improved bus service to reduce traffic congestion- not to build train and trolley systems? Finally, what was the estimated loss to businesses created by the "extra" .5% sales tax for the jail/court house in Dane County to auto dealers, furniture stores, and high-ticket item stores in business lost to lower taxed areas outside Dane county? How much more business will be lost with a full percentage point sales tax above other competitive businesses outside of Dane County? Large ticket retailers like auto dealers, appliance stores etc, will be losing sales as smart consumers will simply drive outside the county- the proposed train only goes to Middleton and the Town of Burke after all. What will stop the next per cent increase and the next wheel tax, the next property tax increase to pay for this “money pit” train and trolley system in the future if an unelected Rail Taxing Authority is established? Read the horror stories of the corruption levels of the NYC or the Chicago system- presently asking the state of IL for an Additional $400 million and another increase in sales taxes.